You can now pay for your shutters in installments. The application process is simple, takes around 5 minutes for you to complete, is carried out online and you’ll receive a decision within 30 seconds of completion. Let’s say you order shutters for your bay window costing £1,200. 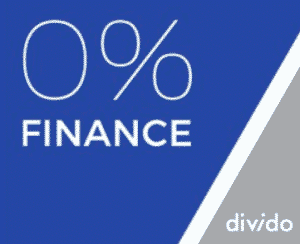 You would pay a 50% deposit of £600.00 and then arrange interest free credit on the balance of £600 which would work out at £100 per month for 6 months at 0% Interest – total payable £1,200.